Lourdes Ortega is a Professor at Georgetown University. 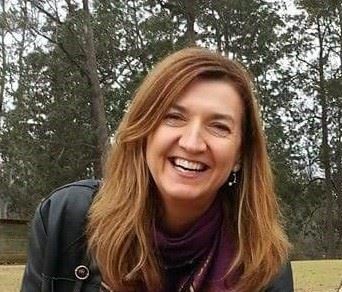 She has taught Spanish in Greece, English in the United States, and since 2000 has worked with language teachers and doctoral students in Hawaii, Georgia, Arizona, and currently in Washington DC. She is committed to investigating what it means to become a bilingual or multilingual language user later in life in ways that can encourage connections between research and teaching and promote social justice. She is the author of Understanding Second Language Acquisition (Routledge, 2009). Her most recent project is The Cambridge Handbook of Bilingualism, co-edited with Annick De Houwer and to be published in 2018. In addition to her Keynote, Dr. Ortega will also be facilitating a roundtable discussion on the topic of Reimagining English Competence. This roundtable is inspired from TESOL International's Summit which included this topic. English competence has been traditionally defined in reference to a native or ideal speaker norm and in terms of the grammar of the language. This definition has been challenged. How can we overcome the native speaker as the standard and address the changing realities of English language use around the world, both with regard to students’ needs for English and to teachers’ needs for proficiency in English? What new research-based models and goals for English competence can be developed to guide policy and practice? How can the multiple Englishes that arise in different contexts be incorporated in frameworks, standards, large-scale tests, and rubrics? Marnie Reed is Associate Professor of Education and affiliated faculty in the Program in Linguistics at Boston University, and director of the TESOL Ed.M. program in the School of Education. 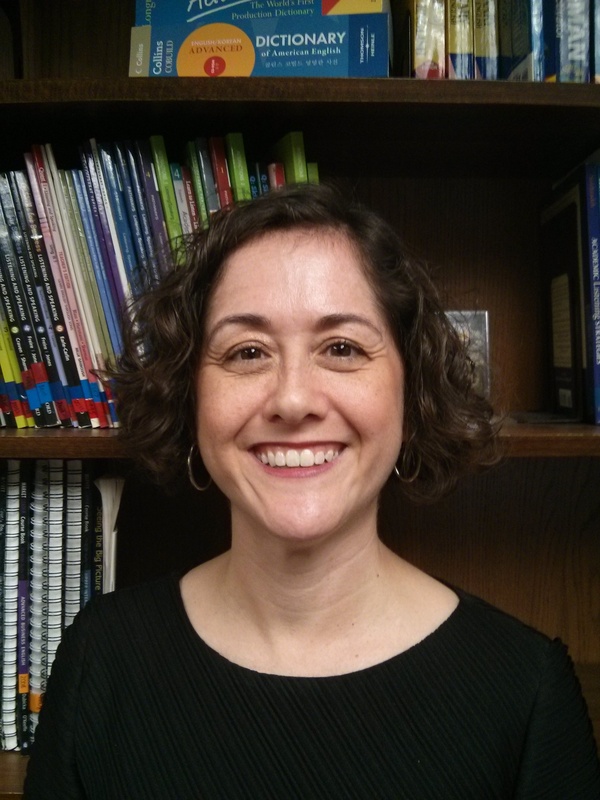 The focus of Dr. Reed’s research, publications, and conference presentations is second language acquisition, specifically in applied phonetics and phonology. Her current area of interest and research is in the role of metacognition in cross-linguistic awareness of the pragmatic functions of intonation. She is co-editor and chapter contributor to the 2015 Wiley- Blackwell Handbook of English Pronunciation. She has been a consultant to academic institutions, government, and industry, both domestically and internationally. Skilled listening is an essential part of communication. Yet until recently, and despite nominal recognition as one of the four integrated skills, listening was the skill for which learners received “the least systematic attention from teachers and instructional materials” (Vandergrift and Goh, 2012, p. 4). Processing of aural input was rarely taught; instead learners were tested on the accuracy of their listening comprehension (Mendelsohn, 2006). Listening was also the skill for which teachers received the least training (Siegel, 2014; Graham, 2017). Fortunately, listening is currently receiving priority in empirical studies (Vanderplank, 2013), with a concerted effort to translate research into practice. Recent trends call for listening to be taught as a language skill in its own right (Field, 2008). Two learner needs have been identified: speech segmentation and recognizing known words in continuous speech, and ability to infer speakers’ intended meaning despite understanding all the words in the message (Goh, 2000). Success has been reported with listening strategy instruction, particularly with an emphasis on metacognitive awareness, to address these listening deficits. Challenges remain, particularly providing pre- and in-service teachers with a theory and research-based understanding of listening skill processes and development. Equipped with today’s innovative approaches, teachers will be better able to provide effective listening skills instruction. John Segota, MPS, CAE, is Associate Executive Director for Public Policy & Professional Relations at TESOL International Association (TESOL). John's responsibilities at TESOL include government relations, policy analysis, media relations and communications, oversight of standards development, and management of TESOL's advocacy activities. 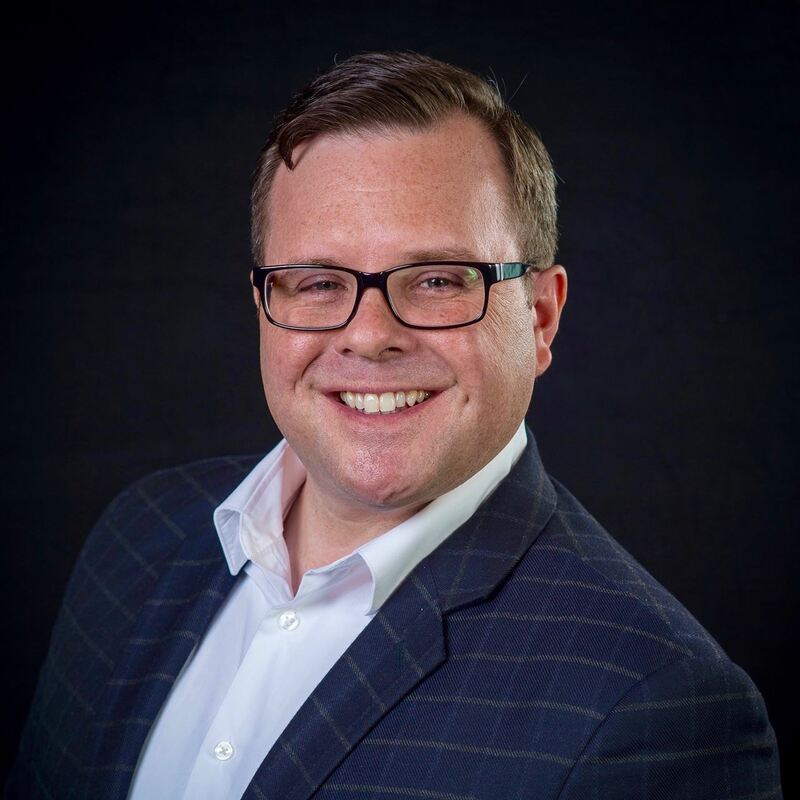 John works closely with TESOL's senior leadership on policy management, strategic planning, public relations, and governance issues. John has presented both nationally and internationally on public policy as it relates to English language education, and has written extensively on issues of education policy. John has a BA in Political Science with a concentration in International Studies from the College of the Holy Cross in Worcester, MA, a Master’s of Professional Studies in Public Leadership from The George Washington University in Washington, DC, and has earned the Certified Association Executive (CAE) designation from the American Society of Association Executives (ASAE). The 2016 general election created a sea change in the political landscape in the United States, impacting virtually every aspect of public life across the country. The new administration has been in office just over nine months, but it has already made significant inroads in terms of changing policies in virtually every sector. What has been the impact of these changes upon education, and specifically ELLs and TESOL educators? Where do things stand with major education policy initiatives, such as the Every Student Succeeds Act and the Workforce Innovation and Opportunities Act? What has been the impact upon international students and immigrants, and what might happen in terms of immigration reform? What else in education policy is impacting ELLs and the TESOL field? This session will present a comprehensive overview of the current state of affairs in Washington, DC, and provide an update on national education policy. This workshop will provide participants with information regarding immigration law and policy and immigrants' rights as they relate to the ESL classroom. Participants will receive information from experts, engage in scenarios, and be able to ask questions to a panel including lawyers and immigration experts. Carol Wolchok is an ESL/Citizenship instructor at Carlos Rosario International PCS and a lawyer with over three decades in public interest immigration law. She directed the American Bar Association's Commission on Immigration and the ACLU Political Asylum Project and taught at GWU law school. Ms. Wolchok has also been a consultant to local and national nonprofit legal organizations, participated in international delegations, and received awards for her work in the immigration field. Jennifer Bibby-Gerth joined Catholic Charities Immigration Legal Services in 2013. Prior to this, Jennifer served as a USCIS asylum officer for almost six years. During that time, Jennifer had the opportunity to circuit ride to East Africa and to Havana, Cuba, where she adjudicated requests for refugee resettlement. Jennifer has a Bachelor’s degree in Social Work and Spanish, a Master’s degree in Social Work, and a Law degree from American University, Washington College of Law. As a social worker, Jennifer worked in mental health and substance abuse treatment. Karen T. Grisez is Public Service Counsel in the Washington, DC office of Fried, Frank, Harris, Shriver & Jacobson LLP. She manages pro bono matters, acts as liaison to national and local bar associations and legal services providers, and advises attorneys working on pro bono cases. Ms. Grisez is a Board member of the Capital Area Immigrants' Rights Coalition and the American Immigration Law Foundation, a trustee of the Washington Lawyers' Committee for Civil Rights and Urban Affairs, and a member of the American Bar Association's Commission on Immigration. Catherine Reynolds has been practicing exclusively in immigration and nationality law since 1995. Currently as Chair of the American Immigration Lawyers Association DC Chapter, she oversees educational seminars, webinars, and meetings with government officials, many pro bono events put on by this chapter of over 1000 members. As a private bar attorney, she represents companies and individuals in all facets of immigration, including obtaining immigrant and non-immigrant visas, asylum, deportation defense, and federal litigation. Michelle Sardone is the Director of Legalization at the Catholic Legal Immigration Network (CLINIC). She is responsible for assisting CLINIC’s network of over 300 charitable immigration legal services programs in responding to changes in immigration policies. Before working at CLINIC, Sardone was the legal services group manager at Hogar Immigrant Services of Catholic Charities in the Diocese of Arlington, Virginia. Sardone holds a master’s degree in Latin American studies from American University. Madeline Taylor Diaz is an attorney in Ayuda’s Falls Church, Virginia office where she provides direct legal services and outreach on a wide range of immigration matters. Following her graduation from the Catholic University Columbus School of Law, Madeline was an Equal Justice Fellow in Ayuda’s Washington, DC office where she focused on obtaining legal status for immigrant children, including victims of violence, those who have been abused, abandoned, or neglected, and individuals eligible for Deferred Action for Childhood Arrivals (DACA). Do you have teaching tips, research outcomes, or administrative experience that you would like to share in a presentation? This year’s WATESOL Conference will offer a proposal writing session in which registered participants (1) can receive individualized feedback on drafts of their proposal ideas or (2) can learn strategies for turning ideas into proposals.